Any HGTV fan knows that your bedroom (or “master suite”) should be your sanctuary. And the reason for this, designer Jonathan Scott (of Property Brothers fame) tells mental_floss, is about more than keeping up appearances. 1. INVEST IN A GOOD MATTRESS. But if shelling out multiple thousands of dollars on anything feels laughable, you should know that good mattresses can be found at lower price points. 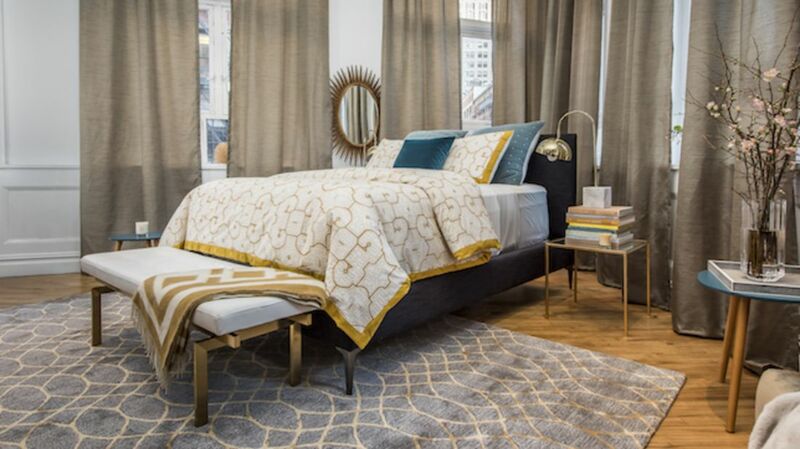 Stearns & Foster has queen-sized beds starting at $1499, and internet-based mattress startups (like Casper, Tuft & Needle, or Leesa) sell quality products for under $1000. “Having chaos surrounding you—kids' toys, papers, stuff from work piled up—that has no place in the bedroom,” Scott says. His solution: lots and lots of storage. “Especially if you have a smaller place or an apartment, you need to have as much storage as possible,” Scott says. “So instead of having a bench at the end of the bed, have a trunk you can put things away in.” Maximize your space by elevating things off of the floor and adding shelves. 3. BANISH WORK FROM THE BEDROOM. 4. TO COOL DOWN, GO AU NATUREL. Scott also recommends layering your bedding so that you can adjust your temperature over the course of the night. “I love to have the sheets, then a coverlet, then the duvet, then extra blankets, and you can sort of peel them back as you need,” he says. 6. STICK TO THESE SIMPLE RULES ABOUT COLOR. Speaking of color, Scott says that if you keep two guidelines in mind when designing a room it will always look posh and polished. First, “you want to have color repeated at least two or three times throughout in a subtle way so it all blends.” So if you choose turquoise as your accent color, for example, make sure your throws, pillows, and area rug all have hints of turquoise. 7. CHANGE WITH THE SEASONS. 8. MIX AND MATCH HIGH AND LOW.